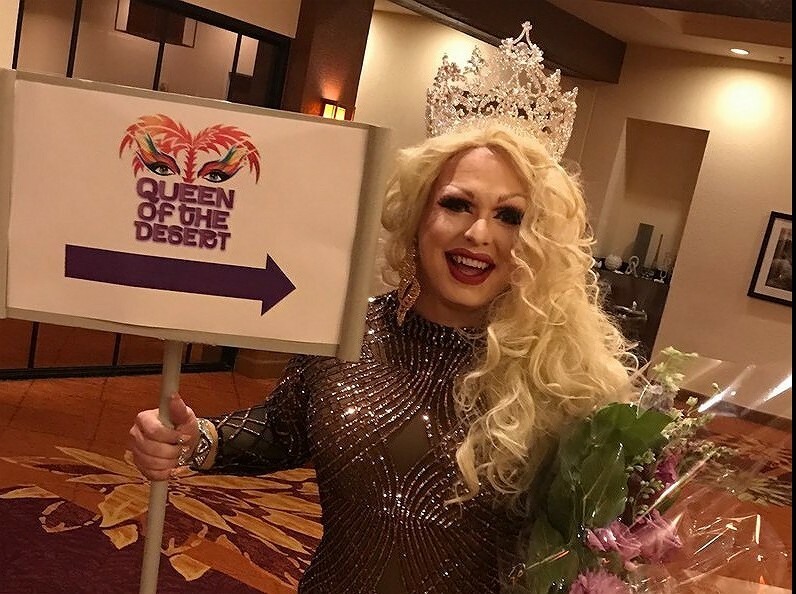 GayDesertGuide founder Brad Fuhr was among a panel of celebrity judges who helped choose the 2017 Queen of the Desert. The fundraiser, held at the Renaissance Hotel in Palm Springs on May 31st, featured six of the area's top drag talent. Fan favorites allowed attendees to vote with their wallet. Thousands of dollars were raised for D.A.P. We have more photos on our PHOTO channel .